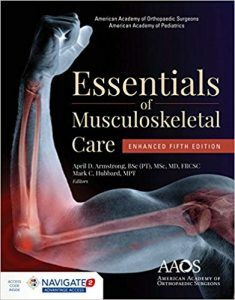 Every new print copy of Essentials of Musculoskeletal Care, Enhanced Fifth Edition includes Navigate 2 Advantage Access which unlocks a complete, interactive eBook with nearly 300 embedded procedure videos, new Skills Checklists to accompany videos in PDF format, and Home Exercise step-by-step instructions in PDF format. Essentials of Musculoskeletal Care, Enhanced Fifth Edition is a robust educational resource focused on how to evaluate and manage common musculoskeletal conditions. This text is used for immediate, point-of-care guidance in decision making and intervention and is a powerful educational product for many health professions dealing with the care of the musculoskeletal system. The easy-to-understand content and crisp presentation appeal to health care professionals and students. It is also a powerful tool to help educate patients regarding conditions and treatment. With Navigate 2, technology and content combine to expand the reach of your classroom. Whether you teach an online, hybrid, or traditional classroom-based course, Navigate 2 delivers unbeatable value.